The design team for Montgomery Middle School created value for clients with incentives for the Title-24 energy performance, yielded a through the Savings By Design program. 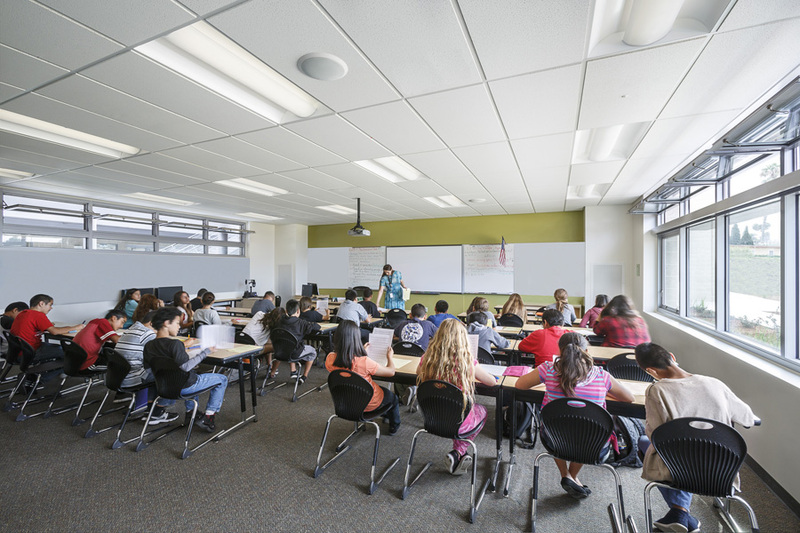 Whether it’s designing a school facility or master planning for future schools, bringing the best of both firms together to affect student outcomes and achievement is really exciting. LPA Inc. is excited to announce its fifth location – San Antonio – and the merger with OCO Architects that makes it possible. As of July 1, 2014, LPA, one of the largest architecture, engineering, interior design and landscape architecture firms in California, will join with OCO Architects, a 22-person firm located in downtown San Antonio, to expand its drive toward successful, sustainable design solutions. LPA has won more than 600 major design awards including 200 prestigious AIA awards for projects spanning from K-12 schools, colleges, and universities to civic, corporate, religious and retail establishments. OCO, turning 30 this year, is known for its focus on K-12, as well as urban infill residential, civic and commercial projects. OCO Architect’s 30 year history, strong presence and reputation in the region made them an ideal partner for LPA’s first Texas location. LPA and OCO share a passion for sustainability, a commitment to client service and a belief that all stakeholders’ interests are the best answer in a collaborative design process. The merger of the talented people at LPA and OCO will benefit all of LPA’s clients and will enrich the sustainable places and spaces they design. Shared core values and design ethics made LPA and OCO a natural match. “From the start of our discussions, we knew that this relationship would be on solid ground. The principals at OCO understand the value-proposition that an integrated design practice, where teams of in-house architects and engineers work in real-time with a focus on sustainability, would be for their clients,” explains Heinfeld. Mark Oppelt, Principal at OCO, says the pairing seemed obvious. “Looking at [LPA’s] portfolio was like looking at a mirror of ours,” he says, noting the two firms will be even stronger as one. He looks forward to a “dynamic base of knowledge” when the practices are combined. Texas is experiencing a period of growth, and LPA is ready to use its increased capabilities to take on new projects. With a changing educational landscape across the nation, LPA and OCO are rethinking how schools are designed and built. 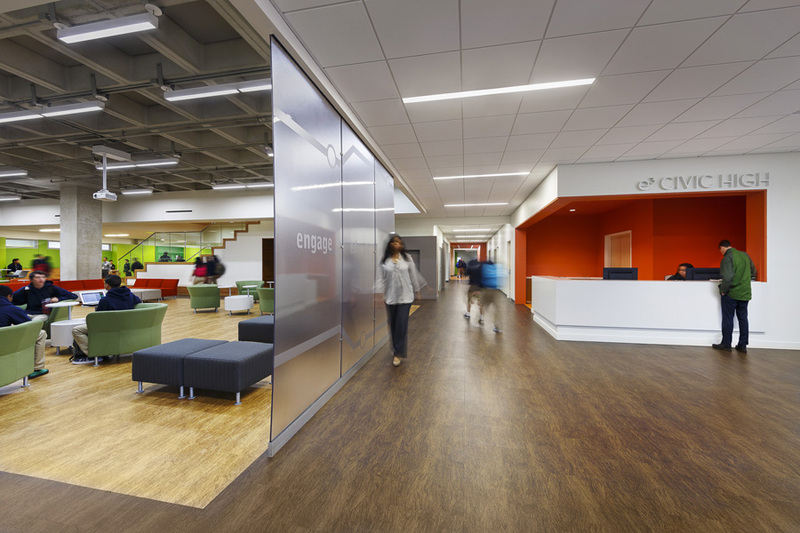 Heinfeld sees these new learning environments as the center of the firm’s future outside of California. “There’s so much K-12 work to be done in the state of Texas. That’s one of the cores that we really want to build on and expand. We want to build on OCO’s excellent reputation and experience in the K-12 marketplace and expand into the other market that we do over time,” says Heinfeld. Another goal is for LPA’s effective integrated process to become OCO’s model of service. With input from all the major disciplines throughout the design process, efficiency increases and coordination problems are avoided. Mickey Conrad, Principal at OCO, says, “The integrated design approach is much more inclusive, not only of architects and consultants, but also our clients. The more good decisions we can make early on, the more the project is benefited later on.” Integrated design is a hallmark of LPA’s dedication to efficiency and green building practices. Founded in 1965, LPA has more than 220 employees with offices in Irvine, Roseville, San Diego, and San Jose, Calif. and San Antonio, Texas. The firm provides services in architecture, sustainability, planning, interior design, landscape architecture, engineering, and graphics. There is no “Sustainability Director,” at LPA. Instead, more than 80 percent of the professionals are LEED accredited, including the Human Resources Director, CFO, and several other support staff. 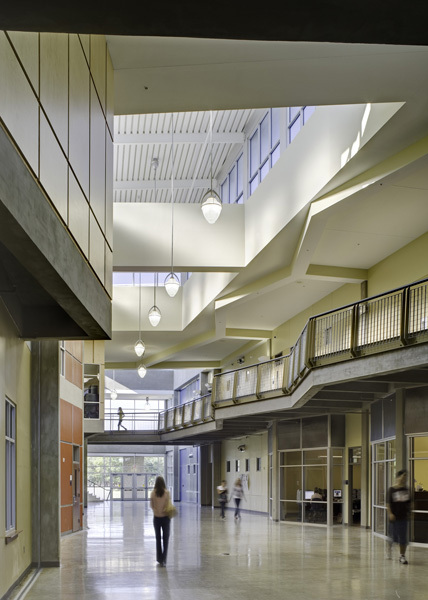 With extensive experience in public and private architecture, LPA designs a diversity of facilities that span from K-12 schools, colleges, and universities to corporate and civic establishments. More than 600 major design awards attest to LPA’s commitment to design excellence. For more information, visit LPAinc.com. At Somerset Middle School in Bexar County, TX, insulated composite metal-wall panels were used for substantial cost savings for the District while providing a durable energy-efficient exterior wall. 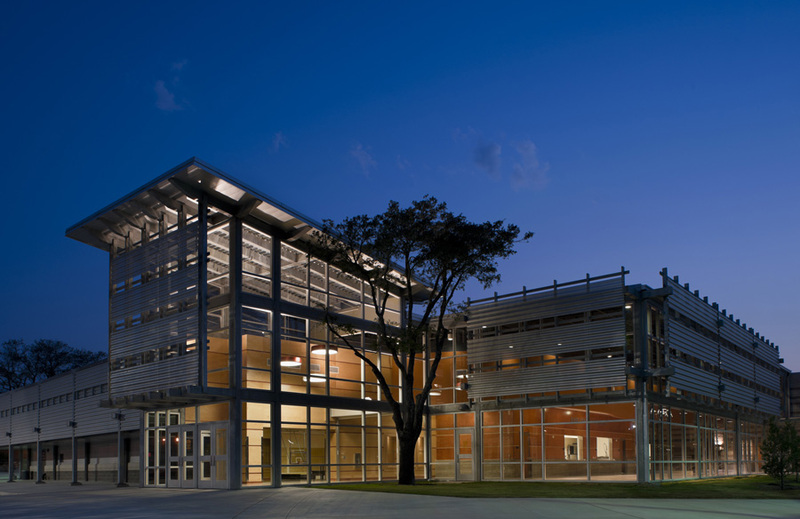 Samuel V. Champion High School in Boerne, Texas resulted in a sustainable school, where a sophisticated rainwater harvesting system will be used to irrigate the campus landscaping. Long Beach, Calif.'s Ernest McBride High School offers Career Technical Education, with the K-12 school campus designed around three learning academies. In San Diego, Calif., e3 Civic High redefines urban secondary education with a creative campus design approach, set within the sixth and seventh floors of the new Downtown Public Library. New energy-efficient buildings for East Central High School's 3,000 students bring a variety of technology-rich, naturally daylit classrooms and circulation spaces. 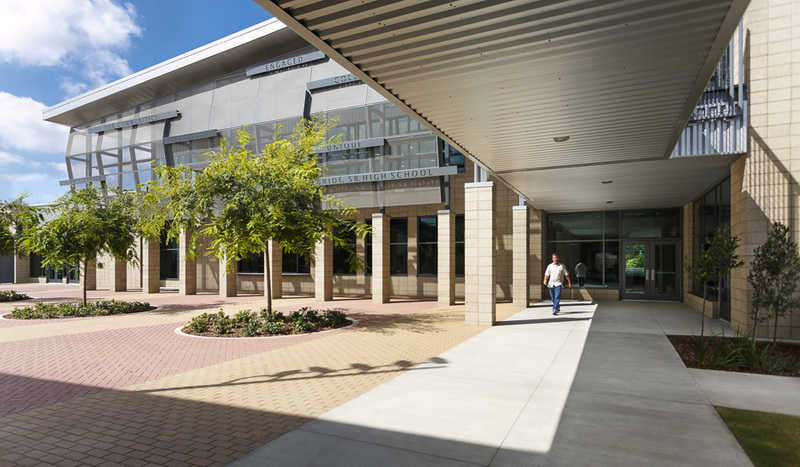 Sustainable design features at San Diego, Calif.'s Montgomery Middle School includes maximized daylighting, minimized heat gain, and opportunities for natural ventilation with operable windows. 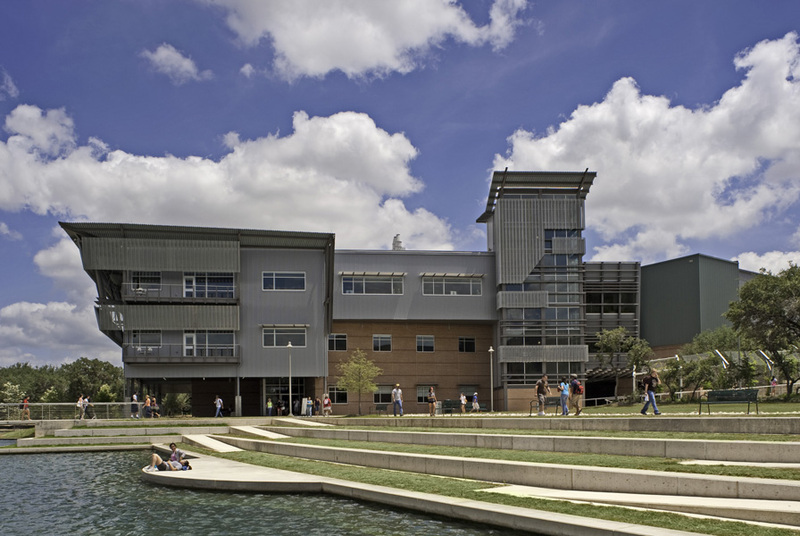 Students at Alamo College take learning outdoors and enjoy the natural landscape on the campus with Live Oak Hall's shaded outdoor space and terraced concrete seating. 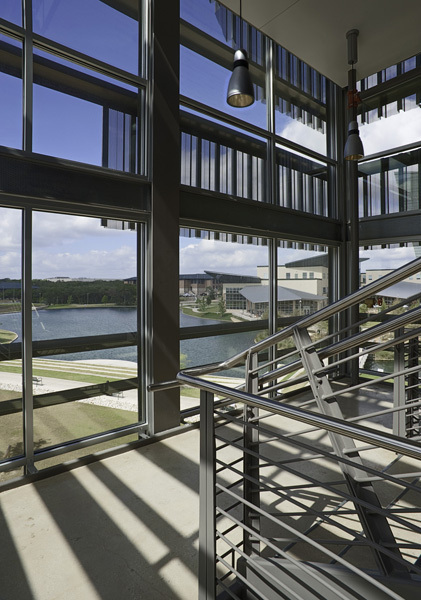 As part of the Alamo Colleges in San Antonio, the new three-story, 86,300-square-foot Live Oak Hall has perforated screens and awnings to control solar heat gain with views to the outdoors.